Popsicles. Summer. Childhood. Those words belong together. 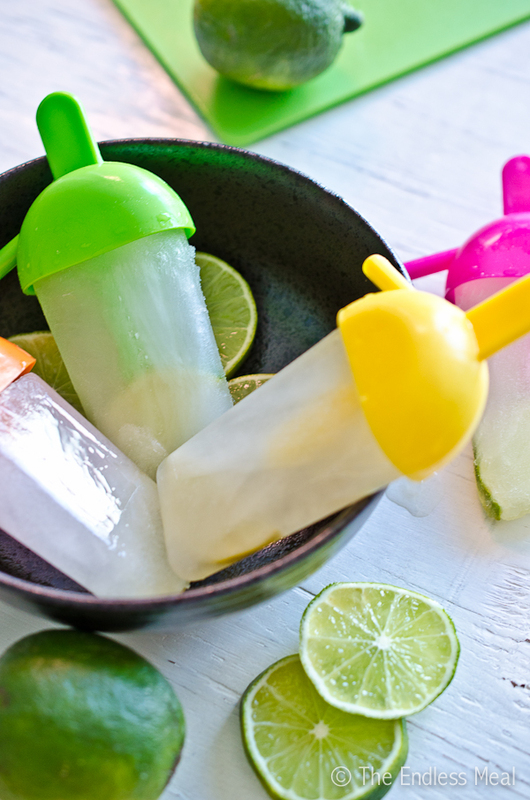 UNLESS you are Erin Nichols and have written an entire book on how to turn your childhood summertime treat into something a little more suited for your adult self. The offer to review the book Poptails: 60 Boozy Treats Served on a Stick couldn't have come at a better time. It was mid summer, hot and sticky: perfect popsicle weather. 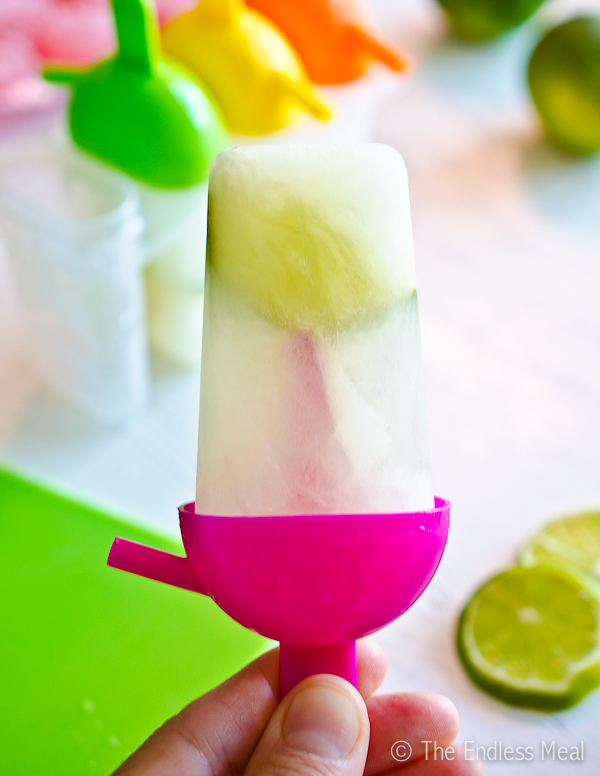 I know it's not mid summer anymore but these Frozen Margarita Popsicles really are the perfect before-the-kids-get-home-from-school treat. Erin's come up with 60 (60!) 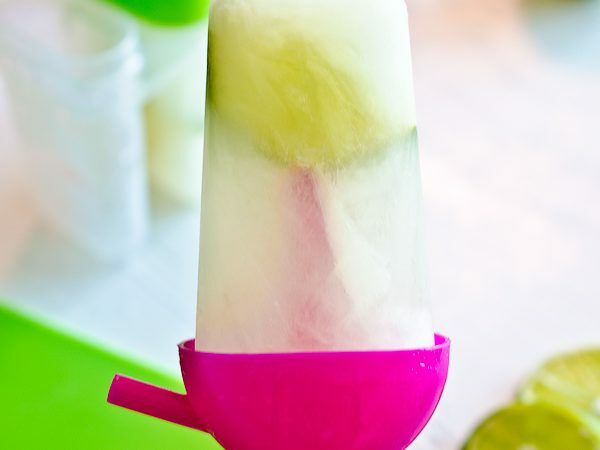 boozy popsicle recipes that will keep you going all year 'round. The White Wine Sangria and the Pretty Pink Margarita are two of my summertime favs. But why stop there? With The Pumpkin Patch, German Chocolate Cake and Christmas Cheer you can keep making boozy popsicles long after the days turn chilly. Are you interested in reading the rest of Poptails? I thought you might be! You can buy it here or enter for the chance to win a copy. Leave a comment on this blog post by October 9th and 2 lucky readers will be chosen at random to receive a free copy of Poptails: 60 Boozy Treats Served on a Stick. Good luck! 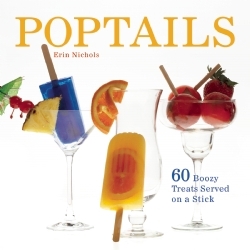 CONGRATULATIONS to Rachael from Simply Fresh Cooking and Aisi for winning a copy of Poptails: 60 Boozy Treats Served on a Stick!! Prepare the tequila and triple sec by bring 1 1/4 cup of tequila and 1 cup of triple sec (separately) to a boil over high heat for 2 minutes. 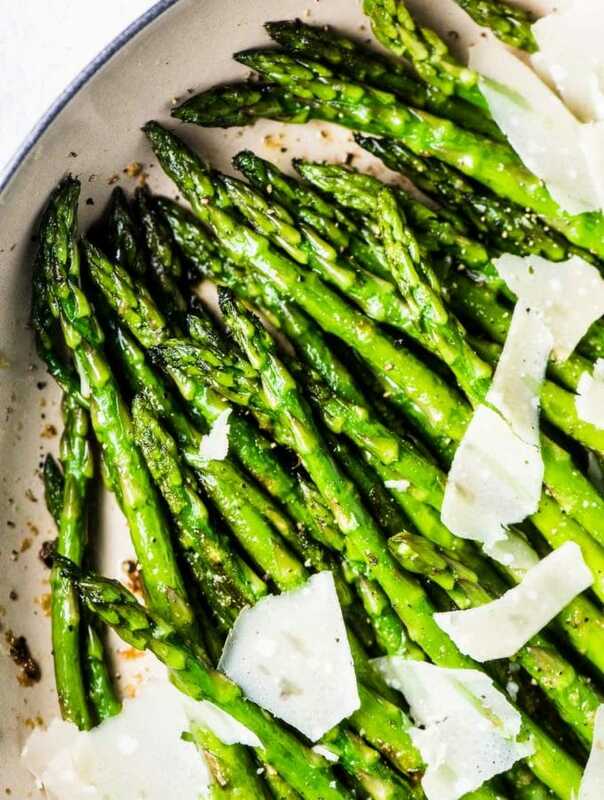 Immediately remove from heat and pour into a bowl. In a medium bowl, combine the prepared tequila, triple sec, and lime juice. 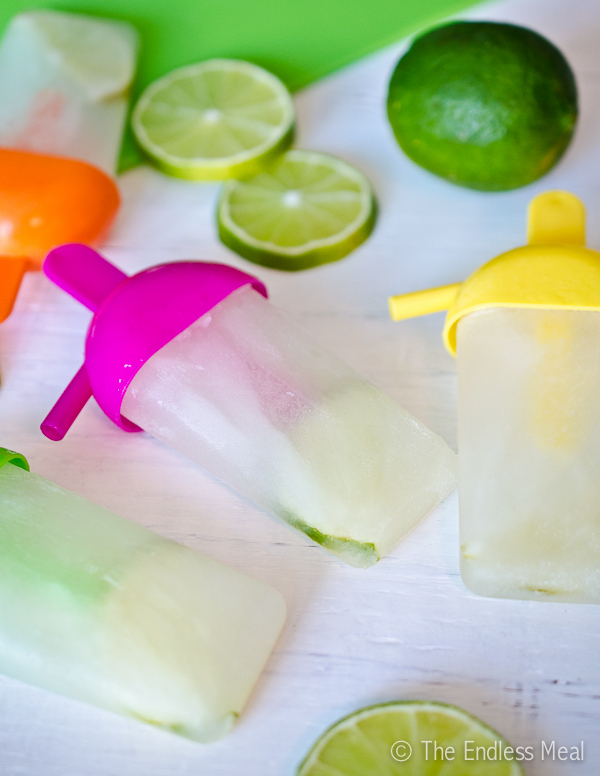 Carefully divide the mixture equally among your ice pop molds. Do not fill the molds to the top. Leave a small amount of space to allow for expansion when the liquid freezes, or your freezer may receive an icy margarita bath. Sprinkle a very small amount of kosher salt into each pop. Top with ice pop sticks or reusable ice pop tops with attached sticks. Let the pops freeze for at least 24 hours. To unmold the pops, run under hot water for a few seconds. Thank you for reminding me to post about the winners. Sometimes life gets busy and I forget things … oops! 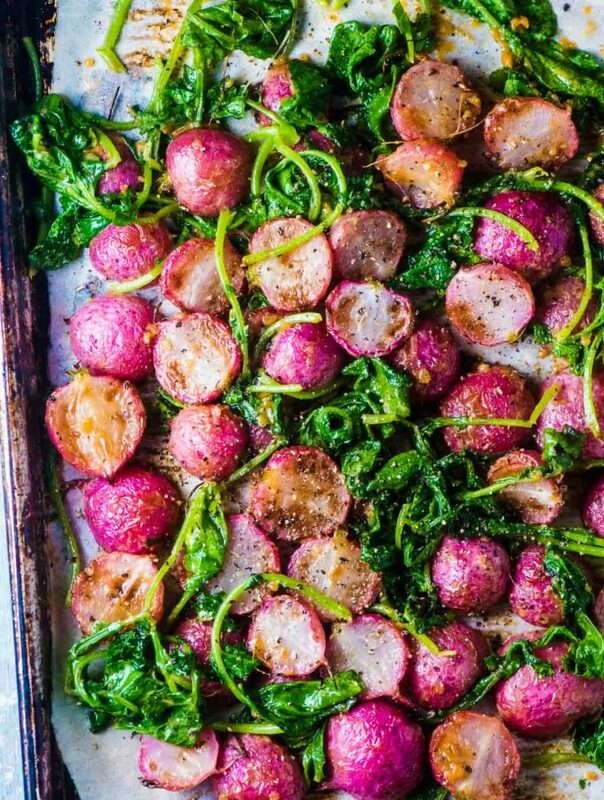 I’m editing the post right now so you will see the results at the bottom of the recipe. I can’t wait till next summer to try these. They look so cute and refreshing! 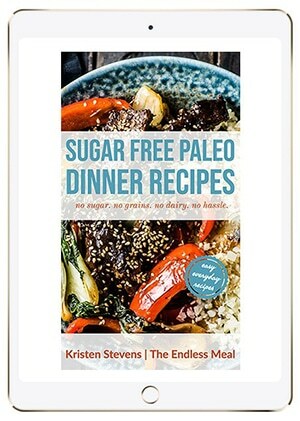 Thank you for the kind write-up of the book! Your pop images are just lovely. Totally crushing on your molds as well. Which brand did you use? The colors are great!